Don’t let your pre-event advertising pile up! 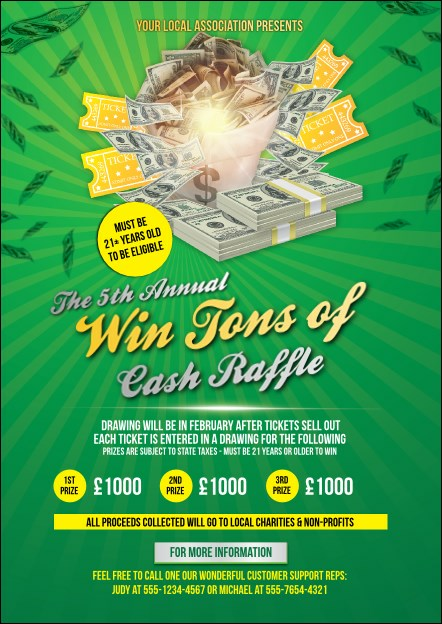 Send out Cash Raffle Green Postcards before your prize-winning event and watch your ticket sales grow. With a unique, bright green background and a cash-themed design that features tons of money, these Postcard templates are sure to help your promotions pay off. UK Ticket Printing helps you profit from the best pre-event promotions.